In a saucepan over high heat, add the cider, vinegar, star anise, cinnamon stick and chopped ginger. Cook until reduced by half, about 15 minutes. 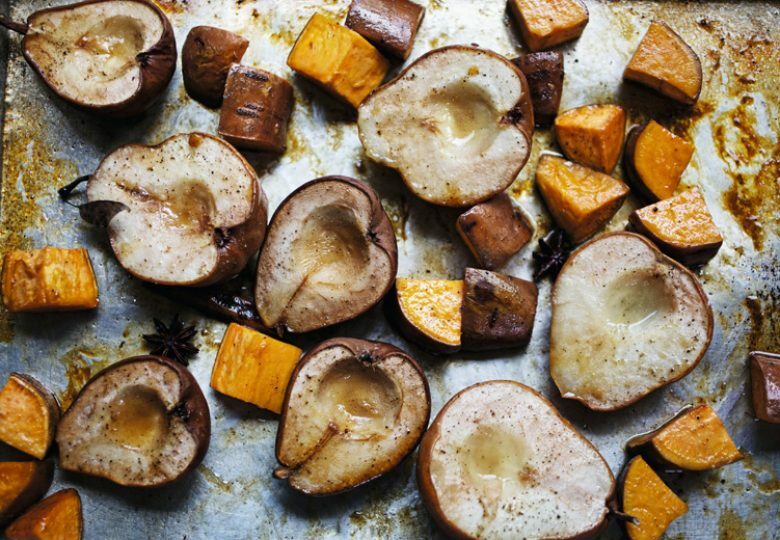 While the glaze is reducing, arrange the sweet potatoes and pears in a roasting pan. Remove the reduced glaze from the heat and whisk in the butter. 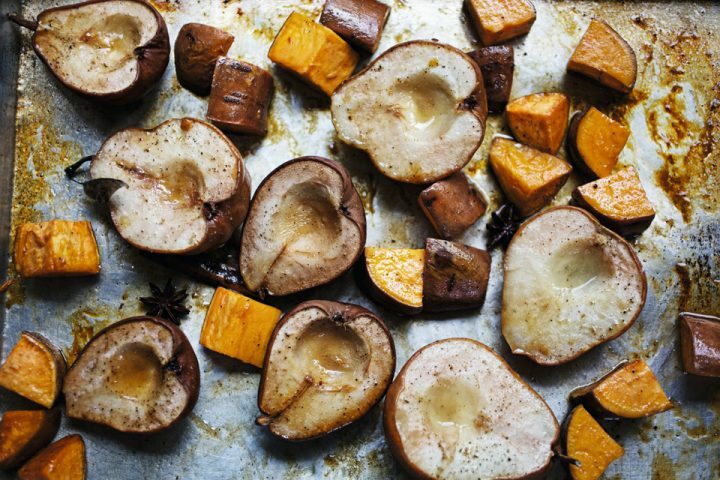 Pour the glaze over the sweet potatoes and pears, and season with salt and black pepper. Roast in the preheated oven until the sweet potatoes are tender, basting occasionally with the glaze, about 60 minutes.